My good friend Peggy Williams, who writes as mystery author MJ Williams with her sister-in-law Mary Joy Johnson, was there to cheer me on and exercised her phone camera for these photos. Lots of free fudge! 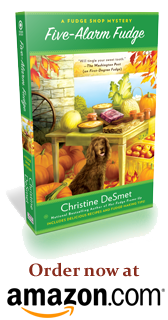 All my signing events feature free fudge, including recipes you’ll find in the Fudge Shop Mystery Series. 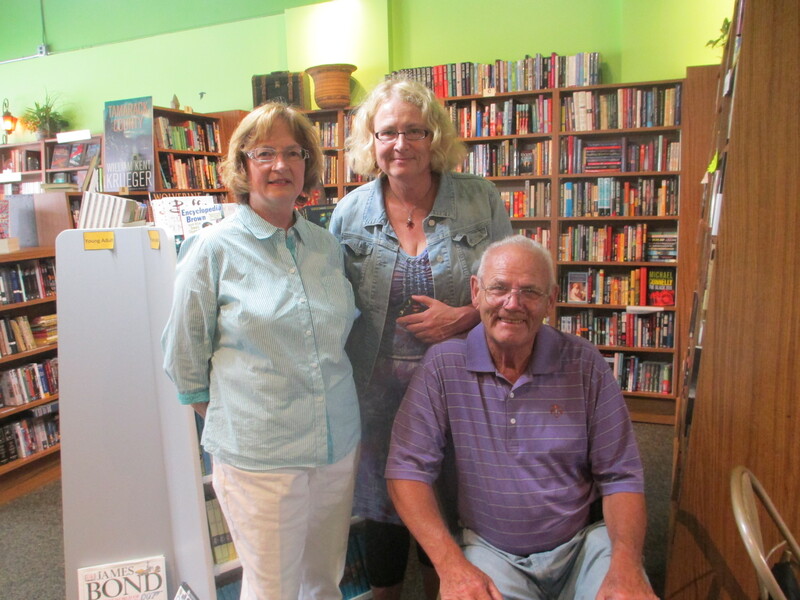 My colleague, Laurie Scheer, and her father, Roy, brought me flowers and ate “Cinderella Pink Fairy Tale Fudge” at my launch party. Their smiles always light up a room and party! 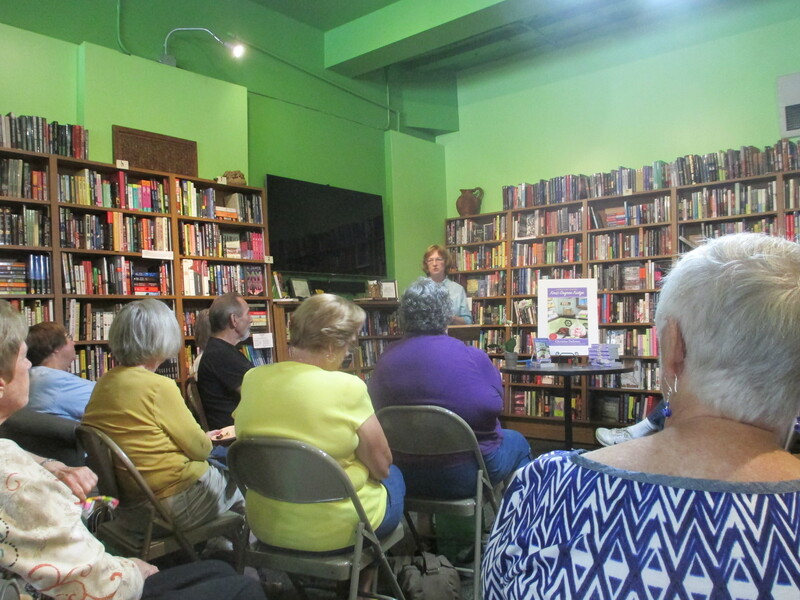 The lovely Mystery to Me independent bookstore was packed to the walls with mystery book lovers, all there to listen to me read and talk about writing First-Degree Fudge. 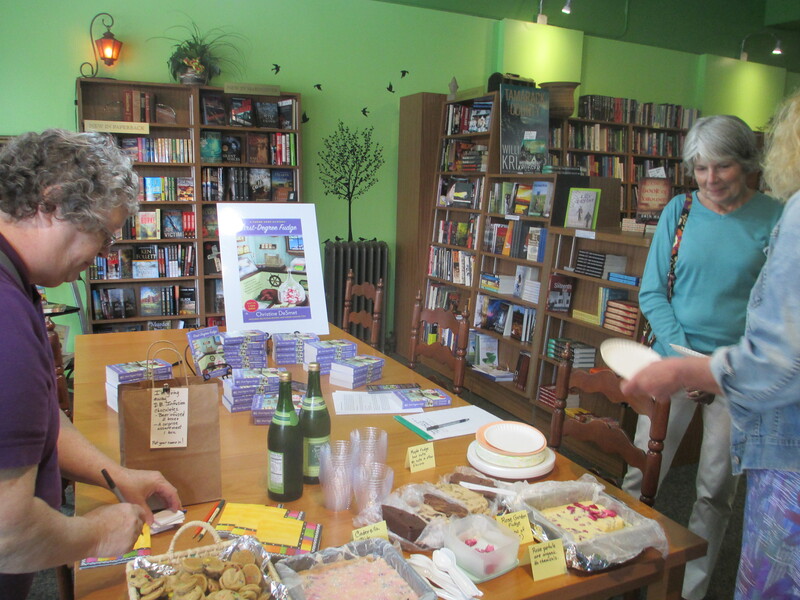 Joanne Berg, owner, Mystery to Me bookstore, Madison, Wis., reports I’m among her store’s top launch party bestsellers. We had a crowd on Sept. 8! 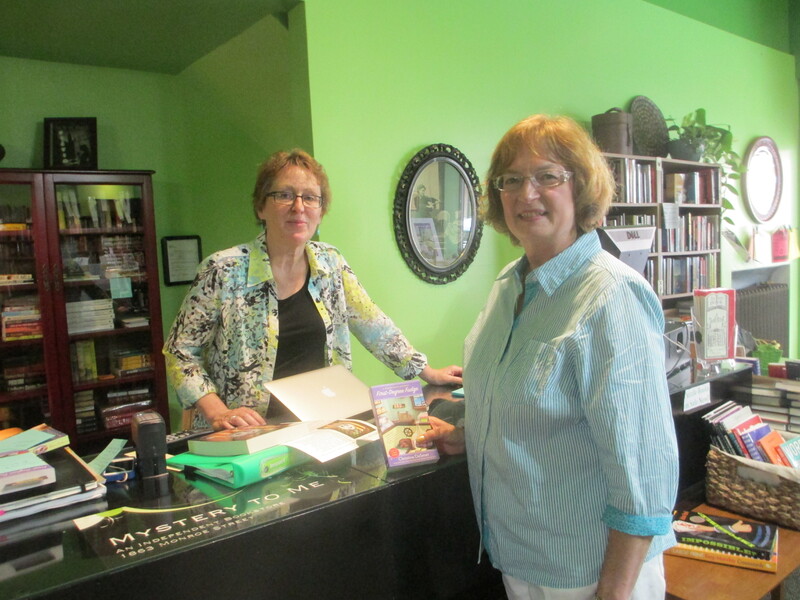 Thanks, Joanne, for all your gracious help that day. Are there going to be more fudge shop books? I hope so! I hope so, too, Donamae. But it’s up to the publishers as to when they might want more. I’m working on Book 4, but I have no idea when it might come out.